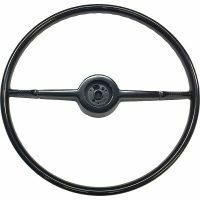 This 1954 Chevy Steering Wheel is a reproduction of the original GM steering wheel that came on a 1953 and 1954 Chevy Bel air and 210 model cars. 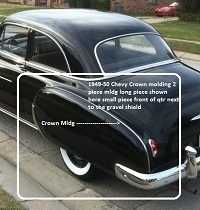 This style steering wheel did not come on the 150 model cars but could be used with no modifications. They come in Black only and are a complete new wheel, this one being just the wheel, new but without the horn ring or parts.